33-1-1, Jalan Setia Prima A U13/A, Setia Alam, 40170 Shah Alam, Selangor, Malaysia. 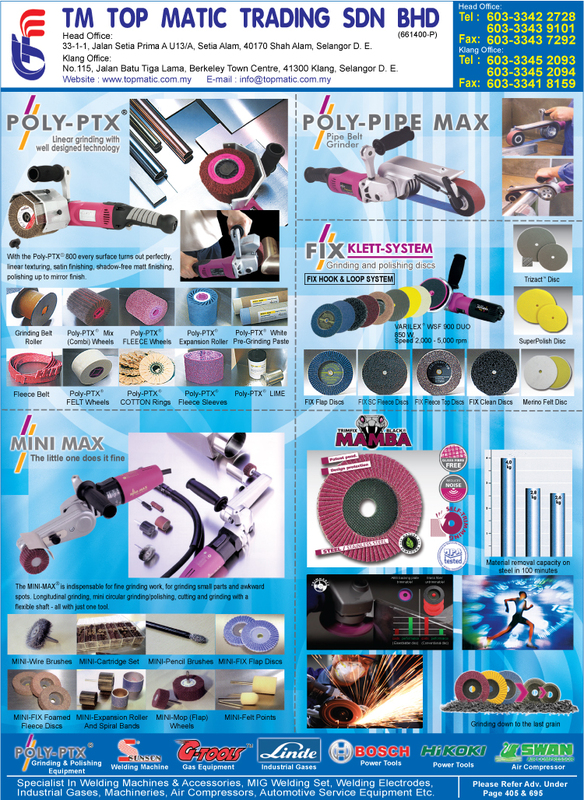 TM TOP MATIC TRADING SDN BHD or better known as "TM TOP", has been actively in the welding and polishing business for the past 20 years. 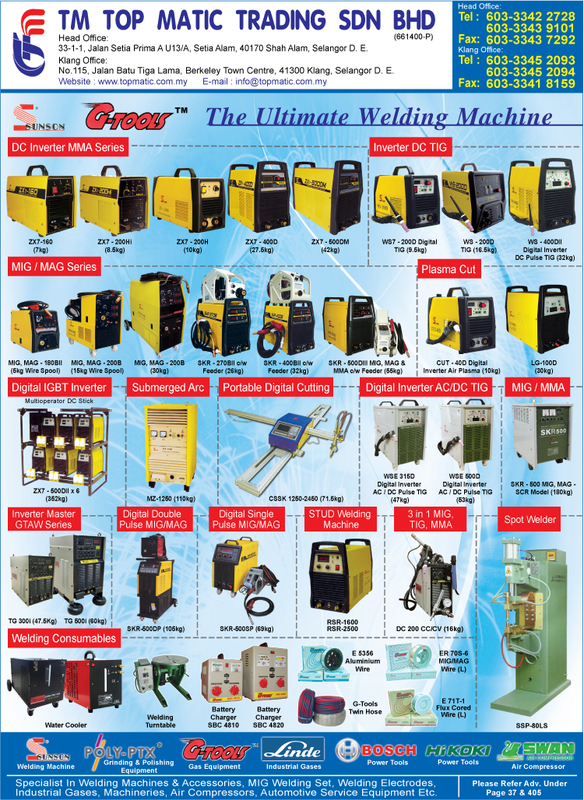 Through many years of product research & development, we have managed to combine the Europe's mighty EISENBLATTER brand name with Asia's G-TOOLS advanced technological welding equipment, bringing the best quality and cost effective equipment to the local front. In short, right tools for the right job. Our accumulated wealth of welding & polishing experience enables us to handle and provide right solutions to today's customers' needs in the working industries. 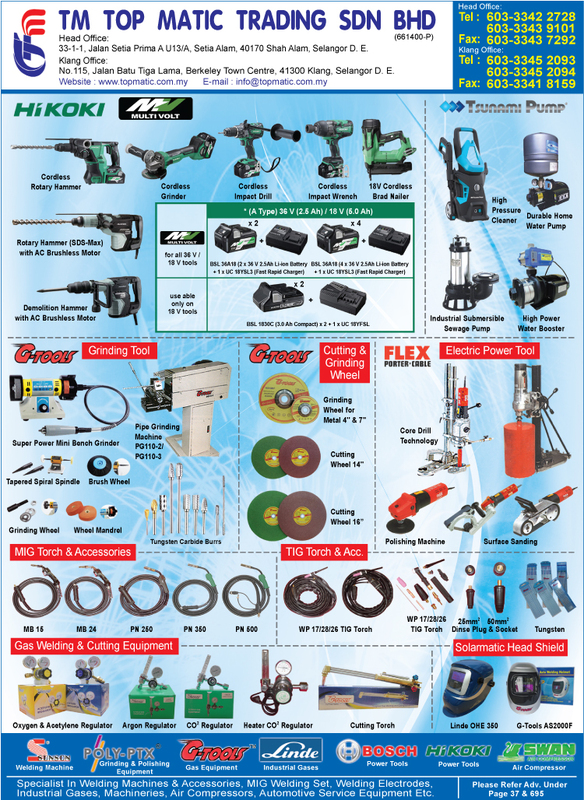 We do not only provide good quality tools but also the right tools to ensure effective & speedy working solutions.